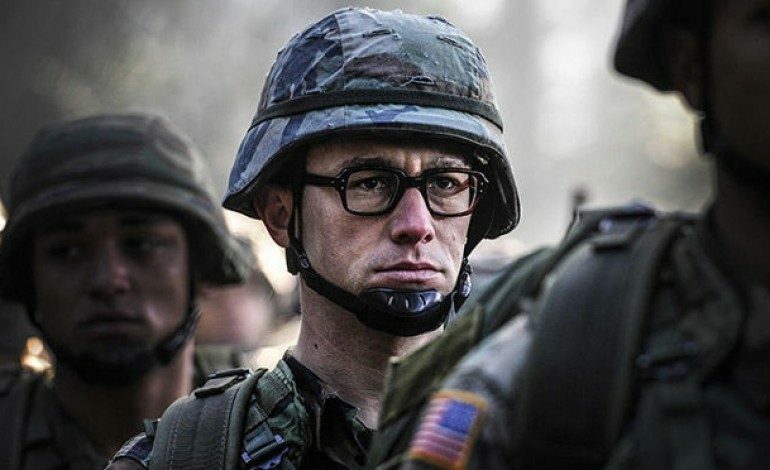 Joseph Gordon-Levitt looks stern and tightly-focused in the first image made public of Oliver Stone’s currently filming docudrama Snowden. In the film Gordon-Levitt plays Edward Snowden, the infamous former administrator for the National Security Agency who made public thousands of classified documents that uncovered the massive surveillance programs carried out by the American government. Eerily of the moment and in the hands of the always-provocative Stone, Snowden surely promises to be one of the more interesting titles heading to cinemas in 2015. This counts as the second Edward Snowden film hitting theaters in as many years, following Laura Poitras’s critically admired documentary Citizenfour, which won the Academy Award a week ago for Best Documentary Feature. Citizenfour (which premiered on HBO one day following its Oscar win) focused in near real-time the events leading up to and immediately following Snowden’s decision to blow the lid open on NSA activities and how they effected ordinary citizens around the world, resulting in perhaps the most powerful governmental leak since Daniel Ellsberg released the Pentagon Papers. Stone’s film (which the director co-wrote with The Homesman‘s Keiran Fitzgerald based on Luke Harding’s book The Snowden Files: The Inside Story Of The World’s Most Wanted Man as well as Anatoly Kucherena’s book Time of the Octopus) dramatizes the same events. The sure-to-be-controversial movie was acquired by Open Road Films, which is planning an awards qualifying run starting Christmas Day. Stone’s career, of course, has been marked by controversial choices at nearly every turn, with a filmography that includes three movies about United States presidents – JFK, Nixon, W. – the latter of which was released while its subject (George W. Bush) was still in office. The Edward Snowden story seems in a lot of ways a natural fit for the three-time Oscar-winning director (he won Academy Awards for directing both Born on the Fourth of the July and Platoon and for writing the screenplay for Midnight Express). His last feature film was the 2010 drug thriller Savages. 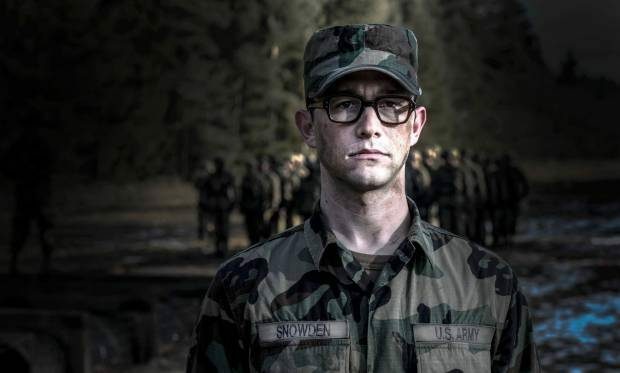 Stone has rounded out the ensemble of Snowden with a top-tiered group of actors – joining Gordon-Levitt are Shailene Woodley (The Fault in Our Stars), Timothy Olyphant (Justified), Zachary Quinto (Star Trek), Tom Wilkinson (Selma), Scott Eastwood (Fury), Keith Stanfield (Short Term 12), Joely Richardson (Anonymous), Ben Schnetzer (Pride), as well as Oscar-winning actors Melissa Leo (The Fighter) and Nicolas Cage (who worked with Stone on the 2006 film World Trade Center).